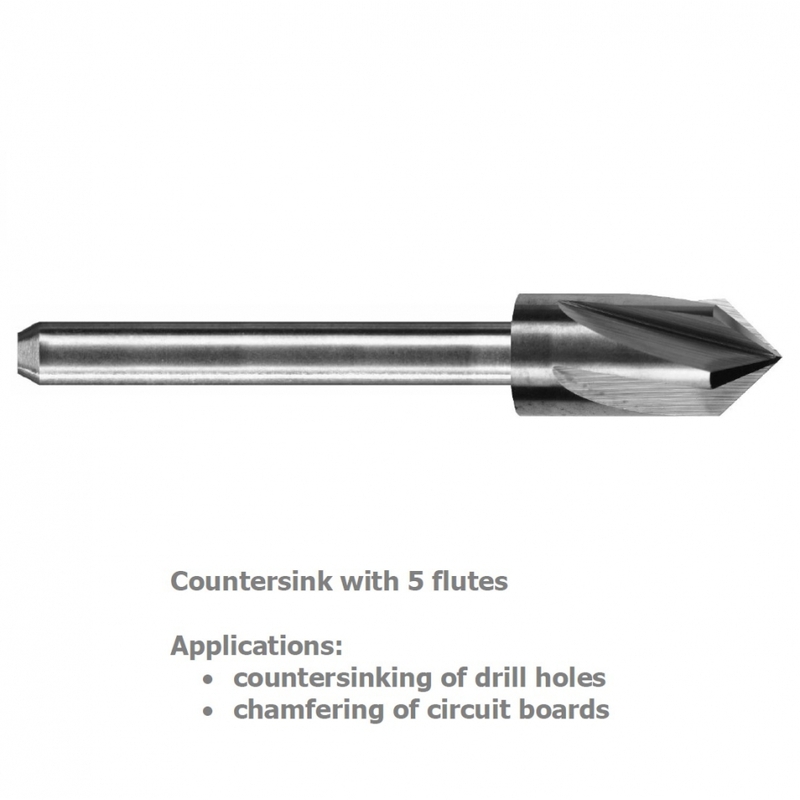 VHM Countersink 5 flute 90 degrees | DamenCNC B.V.
VHM Countersinks are often associated with drilling and deburring. It is true that they can be used for this purpose. This Countersink is also made for CNC milling. It has 5 flutes, for better chip transport. 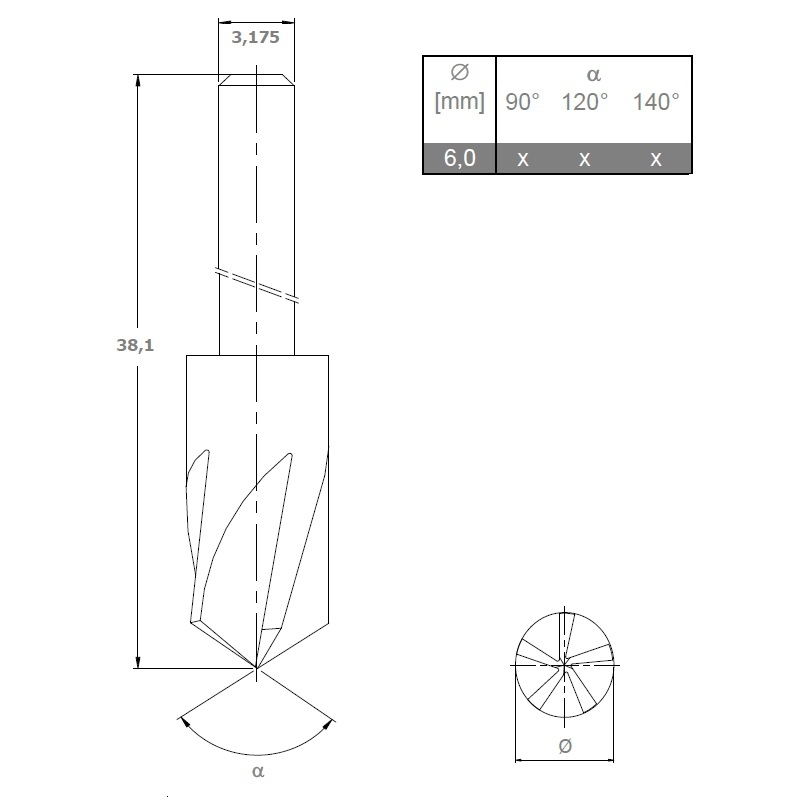 This tool can truly be used for CNC milling, routing of toolpaths. Often CAM package V-carve is used to make toolpaths for this kind of work.